One of the core strengths of Automated Production Machinery Ltd. is our in-house custom machinery engineering department. From initial concept to final run-off, we provide all of the mechanical, electronic, hydraulic and pneumatic design and manufacture within one modern facility. This consolidated manufacturing integration and precise control ensures consistent quality throughout your job. Conversion to and from most major CAD drawing formats as well as model conversion to IGES, STP, ACIS and Parasolid is available to best suit customers individual needs. 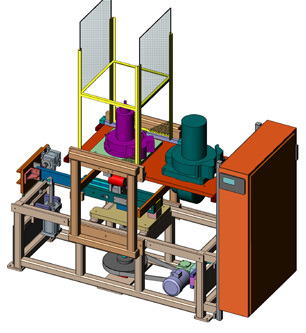 We also provide SolidWorks 3D E-drawing models of the assembled equipment for reference. This helps our customer’s support staff better understand the new machinery equipment and can be particularly helpful to operators during early training and for maintenance personnel when ordering spare parts.